The latest BackupAssist release is now available on our site, complete with Server 2012 support and a range of fixes, including one that may be useful if you use data containers for imaging to a Buffalo NAS device. Details and release notes below…. This support includes the backup, restore and recovery of data and VSS applications, and non-CSV Hyper-V environments. This log contains a list of all files processed during a restore and the result for each file. The log file is enabled using a tick box in the restore console. A new section has been added to the System Protection backup reports. It explains the BIOS, EFI and Hyper-V guest recovery options for each System Protection backup. To view the release notes in full visit our Web site here. 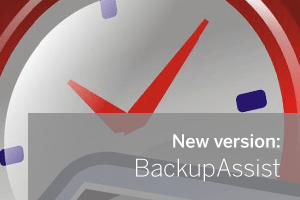 Pricing for BackupAssist is available here.